what is a hook grip? 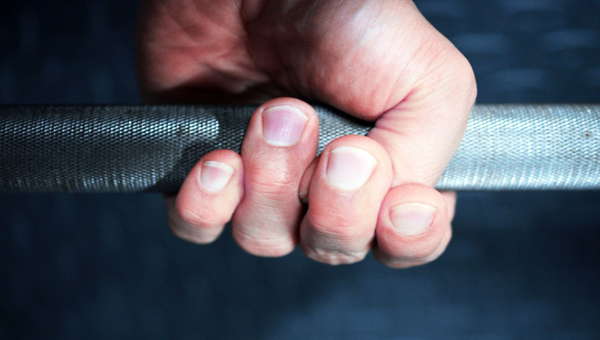 The hook grip is a hand position on a barbell, dumbbells, or even pull-up bars. It is very popular among olympic weightlifters and other heavy lifters. This hand placement involves wrapping your thumb around the bar and tucking it under the index and middle fingers. This is the safest and most secure grip that you can use. The bar will never slip out of your hand. For first time users the grip is very uncomfortable for your thumbs. It can take 2 or 3 weeks to get completely used to using the hook grip. Many strength coaches teach athletes this grip because it is so secure, and it makes lifting heavy weight easier.